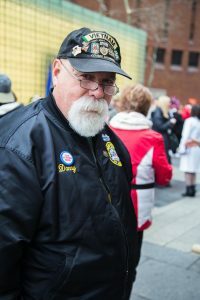 Danny Friedman, Chapter 72, Brooklyn at the March 25, 2017 Vietnam Veterans Recognition Day, 55 Water Street, Manhattan. 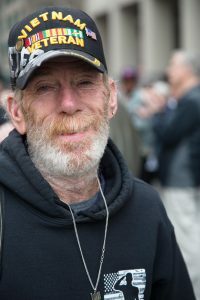 Danny is profiled in my book Bringing it All Back Home: An Oral History of New York City’s Vietnam Veterans. Jimmy Bacolo. Jimmy is profiled in my book, Bringing It All Back Home. 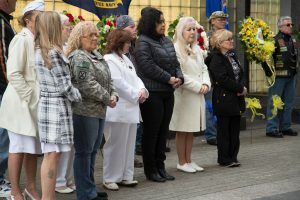 New York City’s Gold Star Families standing in front of the Vietnam Memorial Wall, 55 Water Street.